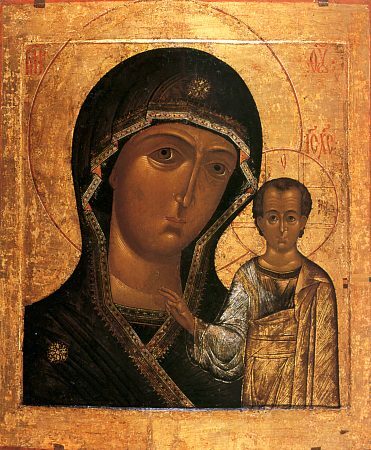 Our Lady of Kazan is an icon of the Theotokos popular in Russia since the 16th century. A close-up variant of the Hodegetria (Directress) style, it is noted mainly for the Child standing, with the Virgin chest-length. The Kazan icons are traditionally small, following the original (9×11 inches). The Kazan icon of the Virgin remains popular, especially as a wedding gift. The image of Our Lady of Kazan is said to have come to Russia from Constantinople in the 13th century. After the Tatars besieged Kazan and made it the capital of their khanate in 1438, the icon disappeared, and it is not mentioned again until the 16th century, some years after the liberation of Kazan by Ivan the Terrible in 1552. By 1612, when Moscow was occupied by Polish invaders, Hermogen had become Patriarch of Moscow and All Russia. 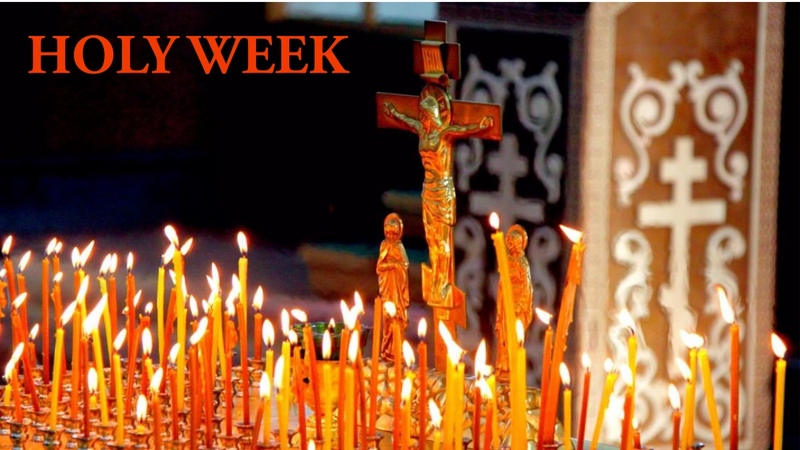 From prison, he called for a three-day fast and ordered the icon of Our Lady of Kazan to be brought to Princes Minin and Pozharsky, who were leading the resistance to the occupation. This icon—possibly the original, but more likely a copy—was carried before their regiments as they fought to regain the capital from the Poles. When the Polish army was finally driven from Moscow on October 22, 1612, the victory was attributed to the intercession of the Mother of God, and the Kazan icon became a focal point for Russian national sentiments. Later that year, when Tsar Mikhail Feodorovich came to the throne, he appointed both July 8 and October 22 as feasts in honor of Our Lady of Kazan.